We’re very proud to today announce a $24.8 million Series B investment round for EVRYTHNG. Led by San Francisco-based Sway Ventures, the round includes Toronto-based Generation Ventures and London-based Bloc Ventures, who participated alongside existing investors. The new investors join BHLP, Atomico, Cisco, Samsung, Dawn Capital and Advance Vixeid Partners as major investors in EVRYTHNG. Digital transformation is driving consumer product manufacturers to evolve their business and operating models at increasing pace and scale. The digitization of the billions of products these organizations make and sell is a central pillar to digital transformation—enabling the gathering of data and insight throughout product lifecycle, opening new channels to market, building direct consumer relationships and supporting new business models. EVRYTHNG was founded with a vision of “Every Thing Connected”— every product in the world with a digital identity on the Web, integrated with the digital ecosystem and driving applications, services and business processes in real-time. Over the past twelve months, we’ve announced and launched partnerships with leading global packaging companies Avery Dennison, Crown and WestRock—enabling up to 300 billion consumer products to be #BornDigital™ each year—each product item with a digital identity in the cloud embedded at its point of manufacture. This massive scale is an important step toward realizing our vision, making it possible for brands to access the benefits of digitized products rapidly and at a global scale, and building the ecosystem of applications and service providers. 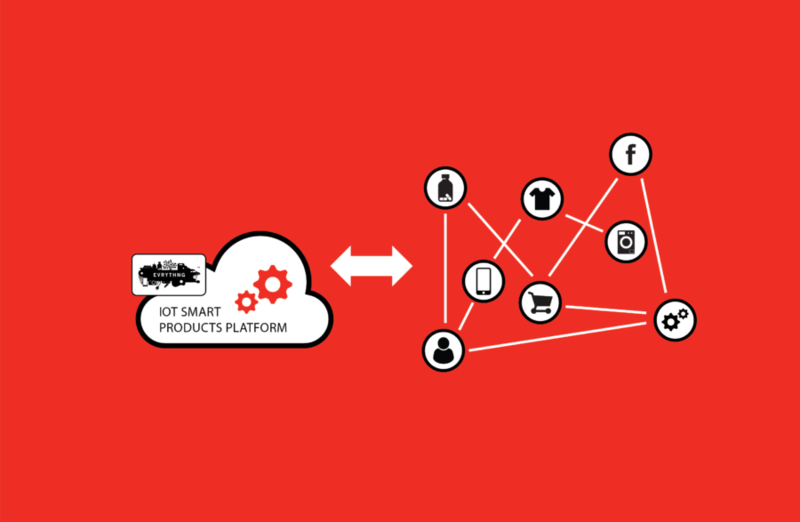 With this Series B investment, EVRYTHNG is responding to the rapid maturing and scalability of the market opportunity for the Internet of Things applied to the digital lifecycle of consumer products. We will be applying the new capital to accelerate our growth and capacity to meet the needs of our customers, both in our platform and with our partners, continue the innovation and development of applications driving intelligence with billions of active products, build connectivity across the digital ecosystem and expand our team. The journey continues. Onwards and upwards.